Like most travel bloggers, I am so addicted to reading other travel blogs. It may seem as though all blogs are much the same, but in fact, each one has their own special niche. For example, when I want a reliable destination guide, I turn to Nomadic Matt, when I want to read about somewhere obscure I visit Wandering Earl and when I just want to drool over someone else’s picture perfect life, I go to Jack Morris and his girlfriend Lauren Bullen. However, my absolute favourite type of travel blog to read is that of the solo female traveller (I wonder why…), and so I decided to compile a list of my favourite female travel bloggers, to share with you just how awesome these ladies are! It isn’t an exhaustive list by any means, and it certainly isn’t final – whenever I find a new solo female travel blog that tickles my fancy, I’ll be including it here, and I’m also excited to hear your recommendations as to which female travel bloggers you think should be on the list! This Battered Suitcase is my favourite travel blog of all! Brenna Holeman, originally from Canada, has been travelling solo for 10 years and has visited nearly 90 countries! One of the main reasons that I love This Battered Suitcase so much is because of how nice Brenna is! She really puts her personality into her posts, and shares everything she knows about how to make it big as a blogger, in posts about everything from Instagram to travel blogging in general, as well as all of her amazing travel experiences. Brenna writes very long posts, which goes against what all the ‘experts’ say you should be doing, but I absolutely love sitting down with a cup of coffee and getting stuck into one of Brenna’s 5000 word reads! Silvia, at Heart My Backpack, has settled in Norway after spending years travelling around the world. As well as posting amazing articles about female travel such as Confession: I Travel Like a Girl, she’s also travelled extensively throughout Central Asia, and writes passionately about travelling through places that most backpackers never dream of going to, such as Kyrgyzstan, Afghanistan and Kazakhstan. I love reading about those obscure places that most travellers never dare to explore, so for this reason, I love Heart My Backpack. Rachel Jones, over at Hippie in Heels is part ‘girly-girl’ and part ‘dirty hippie [sic],’ and blogs about how to make travel glamorous without having to spend a fortune. She’s been living in Goa, India, for almost 4 years, and aims to show readers another side to India. As a white girl, and especially as a blonde white girl, India is one of those places that you’re always told to stay well away from, and so I think it’s really cool that Rachel is offering a fresh perspective, while dishing out loads of expert advice on how to stay safe in India, whether it be on public transport, how to dress to avoid unwanted attention, or just general tips for travelling around India as a solo female. I also find myself relating to a lot of her articles about island life, because I also lived and worked on a paradise island for the better part of a year. 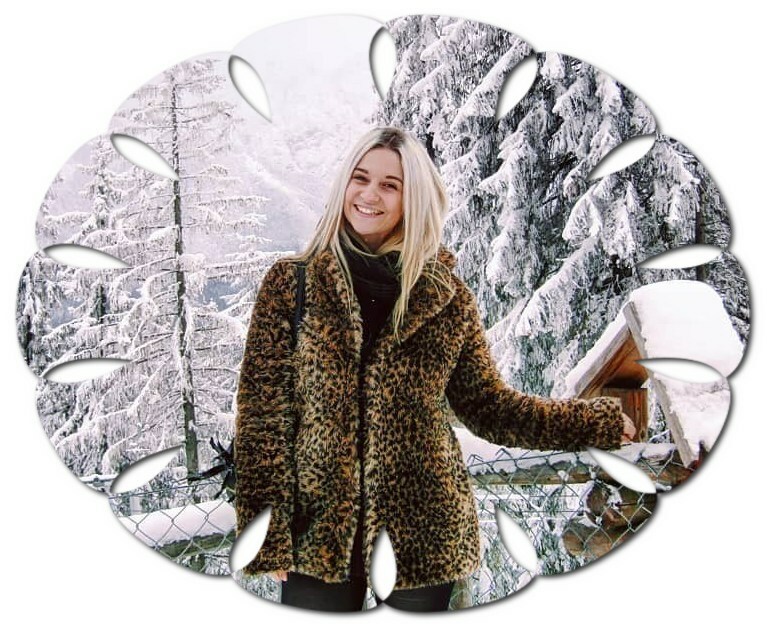 Kiersten is another American blogger, and I love her site because it has sections dedicated to all the various forms of travel, from budget to luxury, solo to couples, studying to volunteering and everything in between. Not only that, but Kiersten’s blog is unapologetically girlie, and she writes about all of those little things that we women have to worry about when we travel, such as how to highlight blonde hair on-the-go, tips for feeling fresh on long-haul flights and the importance of hydrating hair after travel. She also has articles where travel blogger meets beauty blogger, featuring a ton of ‘What to pack for [insert destination]’ lists, as well as travel/country inspired nail designs, such as Mexico-inspired nails, and Bali-inspired nails. Brooke Saward, at World of Wanderlust, covers SO much on her blog, from destination guides, to travel-inspired recipes, to home decor. However, the reason why she’s one of my favourite female travel bloggers is because she has shared so much information about blogging, from how to layout your blog posts, to how to get more traffic and how to increase your productivity as a blogger. Her blog packed full of helpful resources, and it’s always the first place I turn to when I want some tips on how I can be a better travel blogger. Adventurous Kate blogs about a whole range of things, but two reasons why I like her site so much is that she covers a lot of practical stuff, such as what to do if your credit cards are stolen while travelling, to whether or not you should get an international phone plan. Articles like this are so helpful, because it’s advice for travellers, from a traveller. Kate has been there, and done that, and so she is in a great place to share her thoughts. Not only that, but she isn’t trying to sell you anything, so her advice is way more genuine, than, say, if you went onto a phone company’s website and inquired about whether you should purchase an international phone plan. Kate also loves to share her crazy anecdotes, such as the night she got drunk with a Thai Mafia don, and what it’s like to visit the White House. I’ve been watching Aly’s videos on YouTube for over a year now, and she’s so awesome. Her content comprises of travel vlogs, mainly through South East Asia, and ‘real talk’ videos, where she sits down with a coffee and chats to the viewer about anything from her frustrations and anxieties about blogging, to tips on how to secure sponsored posts. Aly is super likeable, and her personality really shines through in all of her videos. She isn’t a ‘girly girl,’ so you won’t find any make-up tips, but she is really funny, really down to earth, and has some really good content. I first heard of Alyssa Ramos, of My Life’s a Movie, when she wrote that (now infamous) article for The Huffington Post about how difficult it is to be so pretty and travel (no, really). While I wasn’t her biggest fan after that post, it did lead me to her blog, which is packed full of articles about solo female travel, from the differences between male and female solo travel, to why Japan is great for solo female travel, while the Philippines is, er, not so great. Alyssa also provides a ton of practical guides, as well as brutally honest articles about why her best Instagram posts aren’t as legit as you may think. Okay, full disclosure: I don’t read Girl VS. Globe as much as the other sites I’ve listed here. Of course, I’ve read a few articles here and there, but I don’t feel as though I know Sabina and her vision as well as I know the other female travel bloggers I’ve featured. HOWEVER, Girl VS. Globe is a really awesome site that definitely deserves a place on this list, and part of the reason I’ve included it is to remind myself to check it out more! Sabina’s bio states ‘I love fashion and food, but not the way these industries harm our beautiful planet. Girl vs Globe is where I share my eco-friendly adventures with you – from green destinations and sustainable fashion to international veggie recipes,’ so for any of you responsible travellers out there, Girl VS. Globe is a goldmine of great resources. Stephanie, at Pearls and Passports, is originally from Liverpool in England but has since lived as an expat in both Japan and Russia, and done a lot of travelling in between! Something that I really like about Stephanie’s posts is her descriptive prose and the personality that she injects into her posts, such as in this one about Koh Phi Phi, Thailand. She really puts the humanity back into travel blogging, and it makes such a nice change to read about someone’s personal anecdotes and impressions of a place rather than the rather soulless travel guides that many travel bloggers fall into the trap of posting. So that concludes my list! I’m always on the lookout for new blogs, especially female travel bloggers, and will be expanding on this list as I find more and more blogs that I think deserve to be shared! If you can recommend any female travel bloggers that you think should be on this list then let me know in the comments section and I may include them! One of the best female travel bloggers/influencers on the net. I am also a travel logger but male and a little older! Thanks, I’ll check her out! Hello Jezebel! Great Article! You visit Philippines too. Yeah she’s amazing:) she left a comment on one of my posts once, I almost died!!! Nice collection. I like the list and these blogs are so inspiring and motivate me to explore the world and live a life, thanks for sharing the information.